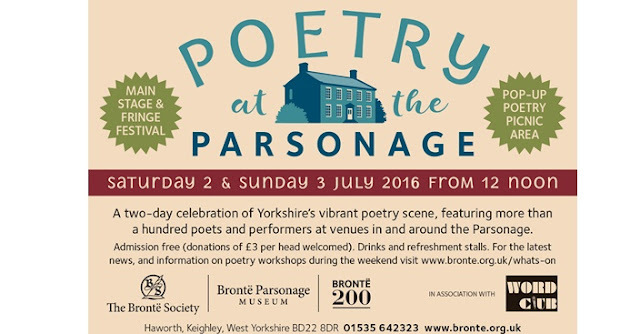 On the Parsonage website (see links on the right of this page) you can read all about the significant and potentially spectacular gathering of most of the current species of Yorkshire poets in just a month's time. You will find a list of the main names there, but two which should be given a special mention right now are those of Matthew Withey, one of the main organisers at the Haworth end, and Mark Connors, seen together here at the launch of Charlotte Great And Small. Matthew is on the Parsonage staff and Mark is not only a poet himself but an energetic organiser of events who runs marathons in his spare time - most recently in Edinburgh. He can always be found at Word Club, which meets monthly at the Chemic Tavern in Leeds, and often at other poetry venues across Yorkshire. To get so many people together as performers for a weekend event is an amazing achievement. All that is needed now is a series of audiences, so please plan to come! The festival will take place in the Parsonage garden, the Old School Room and West Lane Baptist Centre (there's a substantial Fringe) with refreshments available. Admission is free (donations of £3 a head appreciated) and everyone is welcome. Take a look at this Radio Leeds video on Facebook - about the construction of a replica of the Parsonage on Penistone Hill. Plenty of chipboard in there! It is for five days of filming for Sally Wainwright's television drama To Walk Invisible, which will be on screens at Christmas. 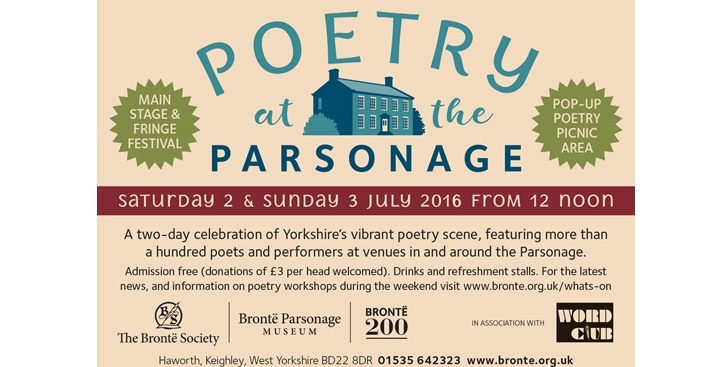 One of the North West's most pre-eminent literary venues will play host to a unique event this September as part of their “Brontë 200” celebrations. Elizabeth Gaskell's House in Manchester celebrates the bicentenary of Charlotte Brontë's birth with two world premiere song settings by composer Robin Walker as well as readings from poets Philip Watts and Edwin Stockdale. Soprano Lesley-Jane Rogers will be joined by pianist Janet Simpson and violinist Suzanne Casey. The musical and literary inspiration for the programme is drawn from the themes of unobtainable love, from the writings of both Charlotte and Emily Brontë. Walker's setting of Charlotte's unrequited love letters to Constantin Héger, “Letter to Brussels” for soprano and piano and his dramatic scena setting of Emily's poem “Self-Interrogation” for soprano, violin and piano are complemented by readings of Stockdale's Brontë-inspired poems alongside the poetry of the Brontë sisters themselves. 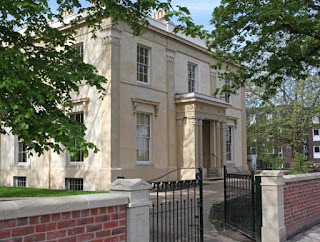 Saturday, September 17th, 7pm, Elizabeth Gaskell's House, 84 Plymouth Grove, Manchester M13 9LW.